It's about time to do a Shining Force I, II, III remake/remaster for PS4/XB1X. The latest entry in the Shining series comes west. 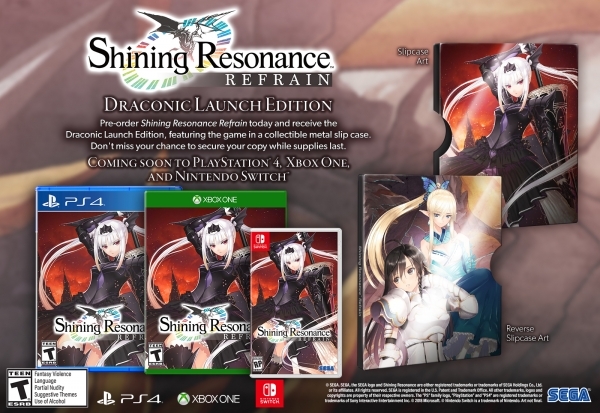 Shining Resonance Refrain is coming to the Americas and Europe for PlayStation 4, Xbox One, Switch, and PC this summer, Sega announced. It will cost 49.99 USD / $64.99 CAD. In Japan, Shining Resonance Refrain is due out for PlayStation 4 on March 29. 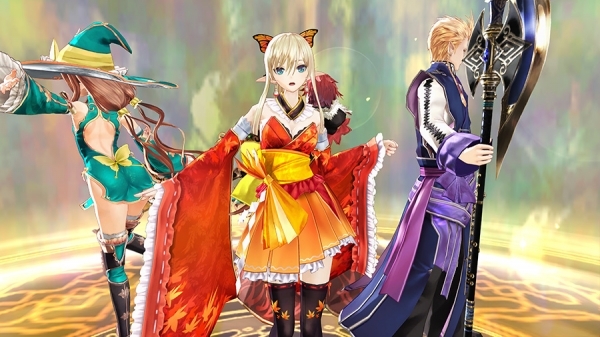 Shining Resonance Refrain remasters the original Shining Resonance, previously released on PlayStation 3 only in Japan, and features dual audio with English and Japanese voices. In addition to all of the original’s DLC, now included as part of the base “Original Mode,” Shining Resonance Refrain packs a new “Refrain Mode,” unlocking the Imperial Princess Excella and Dragonslayer Jinas as party members for a new experience – just be sure to save this for your second playthrough to avoid any spoilers! I don't know, there's a history with nintendo that when they release multiplatform stuff on their consoles they bomb. But I have to recognise that I would like to play this one on switch more than any other. Also this is the first game they localize since the ones in ps2 right? Knowing Sega, they lost all the source code for SF3 by now. As for this game... i went on youtube to see gameplay and it's a pass for me. Looks incredibly boring. Lately with the switch, ports have been doing extremely well. Super Meat Boy on the switch sold very well considering it's been out for years. Same with Disgaea 5. Is Sega really that bad to keep their own IPs / source code? If Square Enix managed to release Secret of Mana remake, so can Sega. Not necessary Shining Force 1, 2, & 3, but also other classics Phantasy Star 1, 2, 3 & 4 as well. If I recall correctly there were remakes for Phantasy Star I and II in the sega ages series back in the ps2. There were plans for a localisation and a remake for Phantasy Star IV in a trilogy package but was cancelled. Would have been interesting that psiv remake.